It’s true. While you may think of cellulite as something that develops from mismanaging your weight, just another part of aging, or something that only happens to women, the truth is that everyone has it (though a difference in muscle structure means it shows more in women than men) — and until now, there have been no lasting cosmetic surgery treatment options. 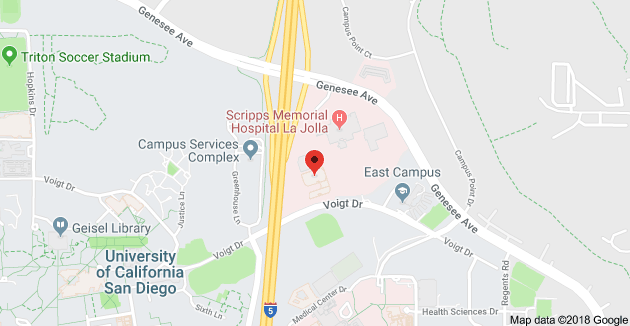 Cellulaze anti-cellulite treatment, performed by Dr. Gina Farinholt at Olde Del Mar Surgical, is the first and only cosmetic surgery option for long-lasting treatment of cellulite. This breakthrough procedure is minimally invasive and works by altering the structure of cellulite by inserting a laser fiber beneath your skin to deliver energy directly within the fat layer. This treatment releases the fibrous bands of tissue that pull your skin taught over the bulging fat pockets, helping to eliminate that dimpled or “cottage cheese” appearance. This anti-cellulite technique also diminishes the lumpy pockets of fat that push through the bands and also thickens the skin, which enables long-term results with just one treatment. While there is zero downtime associated with Cellulaze treatments, side effects can include mild discomfort, bruising, swelling and numbness which subsided for all patients within three months. “Cellulite” is the socially-coined term for the visible dimples and unevenness of skin, usually present on the hips, thighs, rear, backs of arms and stomach. However, cellulite doesn’t “form” over time; what you’re actually seeing is the subcutaneous layer of fat that protects your muscles, nerves and skeletal system from every day wear and tear. Whether due to poor diet, lack of exercise, poorly-managed stress, smoking, or even genetics, the fibrous connective tissues that restrain those pockets of fat can weaken and your skin can lose elasticity, which allows the fat layer to bulge upward beneath skin. This becomes even more visually present when the cells have enlarged due to bad habits — eating too many fatty or processed foods, sitting for most of the day, or even trying to “spot reduce” the jiggle instead of doing exercises that tone and tighten your entire body. Although it’s impossible to remove this protective layer of fat, there are ways to diminish the appearance of cellulite and keep your body healthy. Cellulaze anti-cellulite treatment is intended for use on healthy people who maintain a proper diet and exercise regimen but still struggle with mild to moderate cellulite appearance. Trainers agree that a mix of cardio, stretching and strength training are key to battling the bulge from the inside out — cardio amps up your circulation which plays a large part in boosting all-over fat burn; stretching increases the elasticity of your muscles and skin which gives a smoother appearance; and strength training enhances muscles which uniformly push against the subcutaneous fat layer to flatten out the fatty pockets. • Antioxidant-rich foods break down the fat in cells and also help improve circulation and collagen production. Try salmon, blueberries and even dark chocolate. • Foods dense with vitamin B6 help metabolize protein, and can even strengthen and repair connective tissues. Sunflower seeds, and chili and cayenne peppers are metabolism-boosting power houses. • Low-glycemic foods release less insulin into the body, which reduces the amount that is stored in fat cells. Greens, veggies, and even hummus are nutrient-dense foods that require little insulin to be processed by your body and thus can help prevent fat cells from expanding. Topical creams and gels with collagen-boosting retinol speed cell turnover which thickens the skin and can help repair the structure of the connective tissues which hold the fat layer in place. 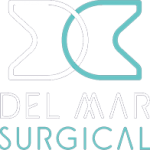 To learn more about Cellulaze anti-cellulite treatment and other cosmetic surgery procedures performed at Olde Del Mar Surgical, schedule your consultation online or call (858) 457–4917.